For her 5th birthday party the other week, Isla requested a My Little Pony rainbow cake. Always up for a challenge, I obliged and tried my best. 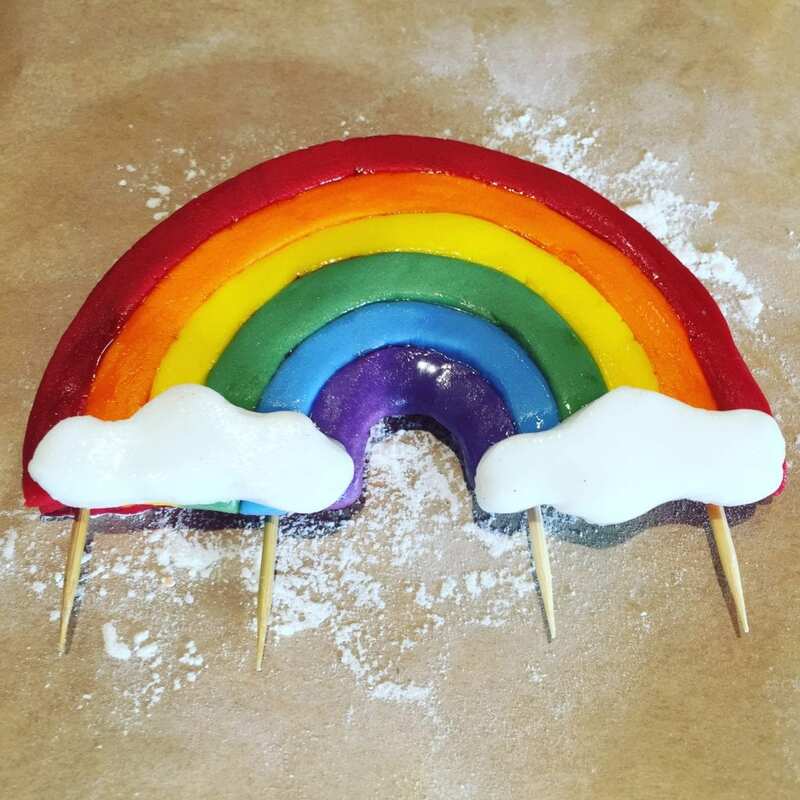 I decided to carry on the rainbow theme for some of the party food and created rainbow cupcakes, cake pops and rainbow coloured fruit skewers to balance all the cakes on offer! This is just a little collection of some of the rainbow party food that I created for Isla’s 5th birthday. Some of my ideas were a great success (I was particularly proud of my rainbow cupcakes), others not so. So first, the main attraction, a My Little Pony rainbow birthday cake for my little girl. 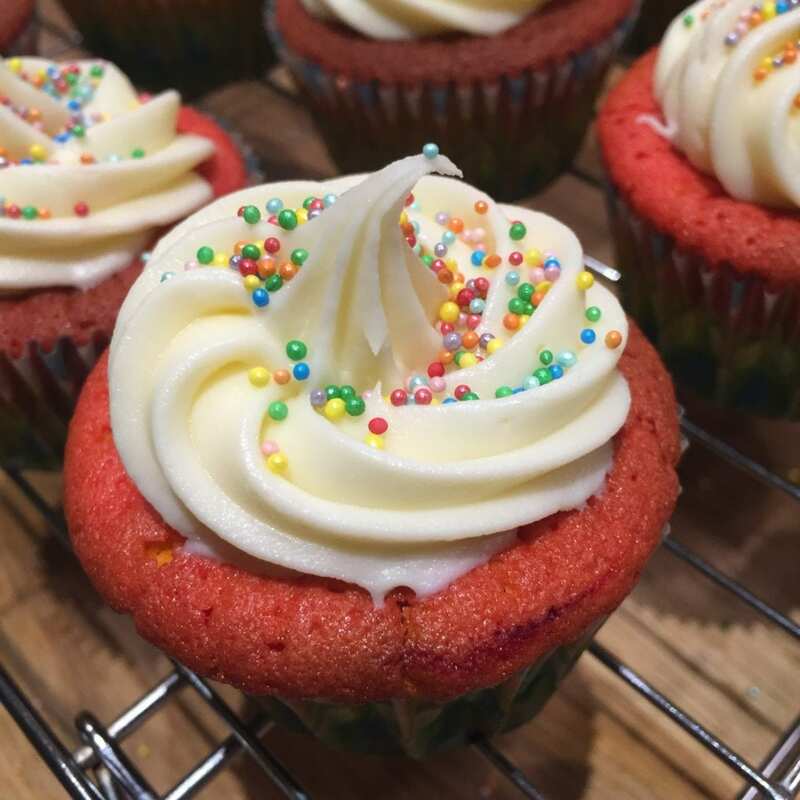 I used Sugarflair pastes to colour the sponges which I bought from Amazon. 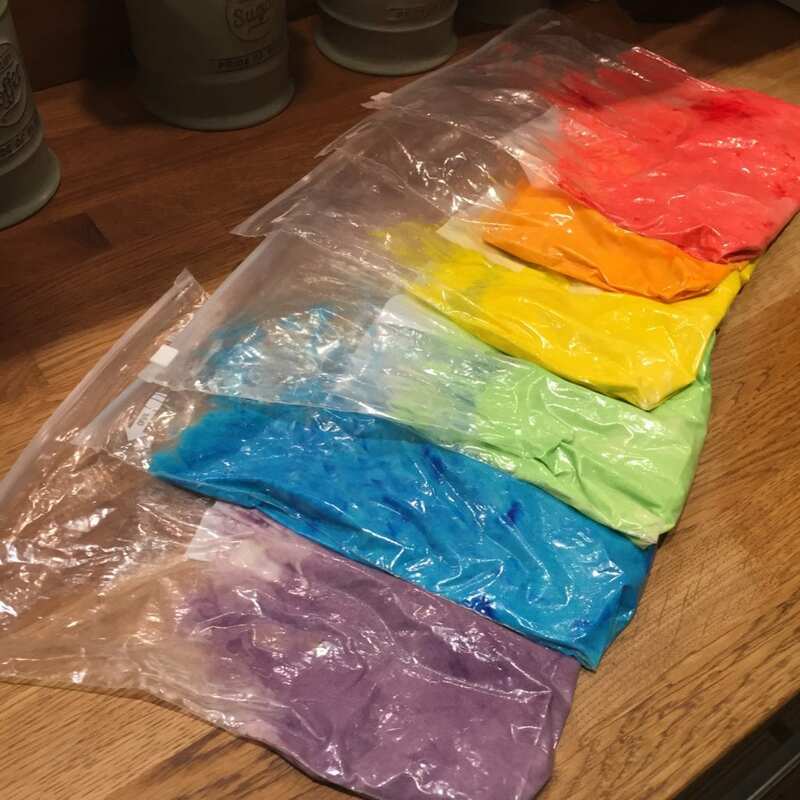 These were recommended by my sister-in-law and resulted in really vibrant colours that didn’t change during the baking process. Overall I was impressed by the colours of the sponges, but the recipe I used wasn’t ideal and lead to dense cakes. Next time I think I would use a batter similar to my basic cupcake recipe which results in a nice light sponge. I am not blessed with sugar paste skills, so I kept the decoration simple- lots of buttercream (I cheated and bought ready made!) and sprinkles. It was still quite difficult to get the buttercream smooth on the sides. Possibly because I was trying to do it with a normal knife! I always think things are going to be easier than they actually are, especially where cakes are concerned. 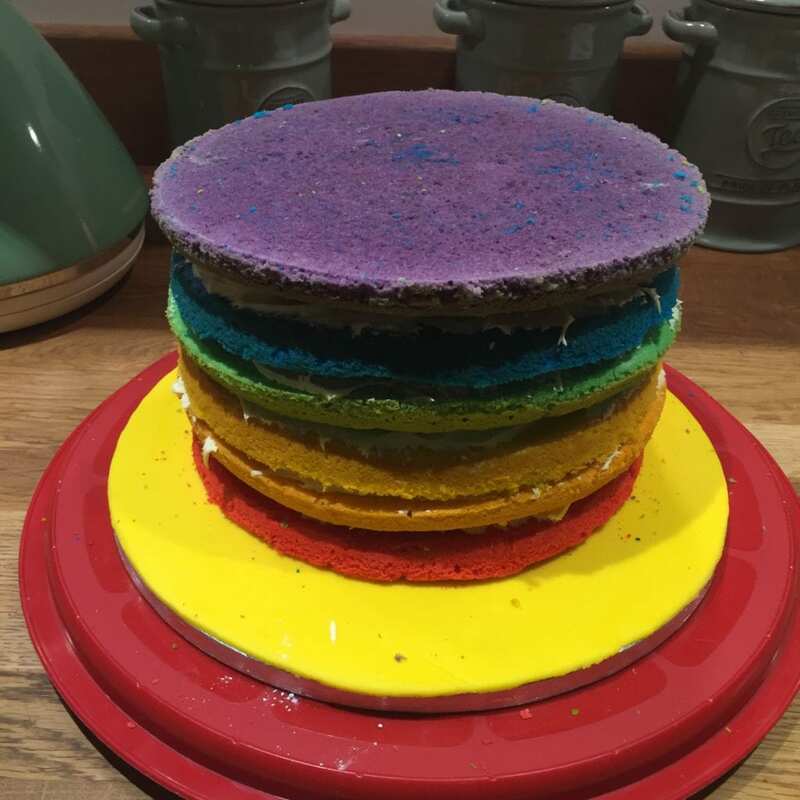 I did attempt a sugar paste rainbow, it wasn’t perfect, like the cake, but Isla loved it which is all that really mattered at the end of the day. The cake on the whole looked OK, definitely lots of room for improvement and the sponge was not the best, but I think I got away with it. 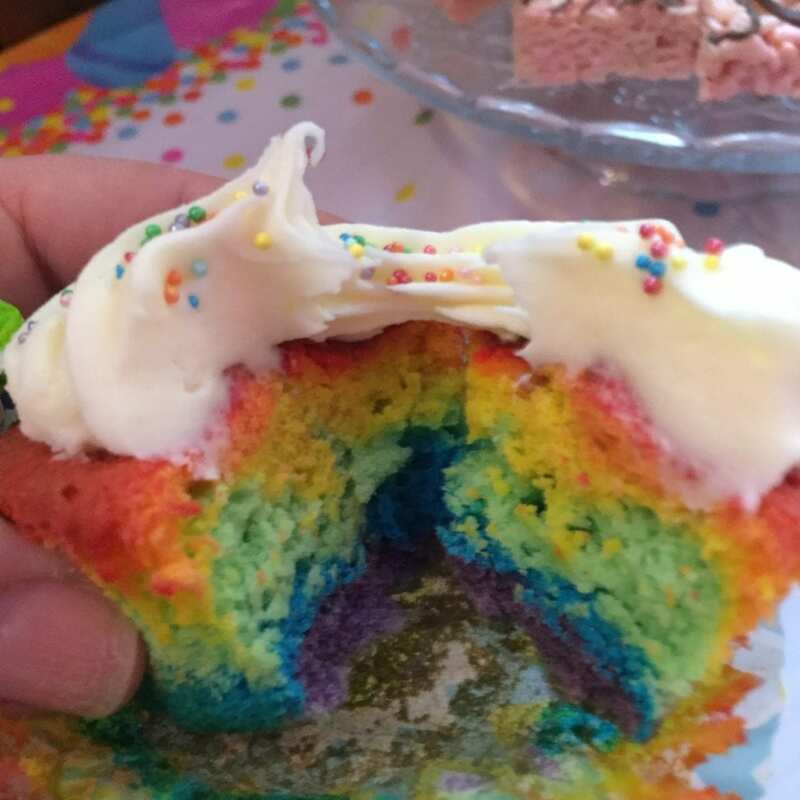 I was rather proud of the rainbow cupcakes. It’s the first time I’ve made them but they turned out really well. I used my basic cupcake recipe but doubled the quantity. When the batter was all mixed I weighed it out into a separate bowl and then divided it into 6 equal quantities into freezer bags. I used the Sugarflair paste colours again to colour the batters (you only need to use a tiny bit). When they were all mixed, I simply just snipped the corner off of the bags and piped a little into the cupcake cases, layering up the colours until the cases were about 3/4 full. The cakes were baked as usual for about 20 minutes. When cool I decorated simply with some butter cream and some sprinkles. I was really pleased how they turned out, the sponge was lovely and light and the colouring didn’t affect the texture or flavour. The marble effect of the colours was really good, and in hindsight I wish I’d made the birthday cake in a similar fashion. It was actually really easy, and if you haven’t tried it yet you must! 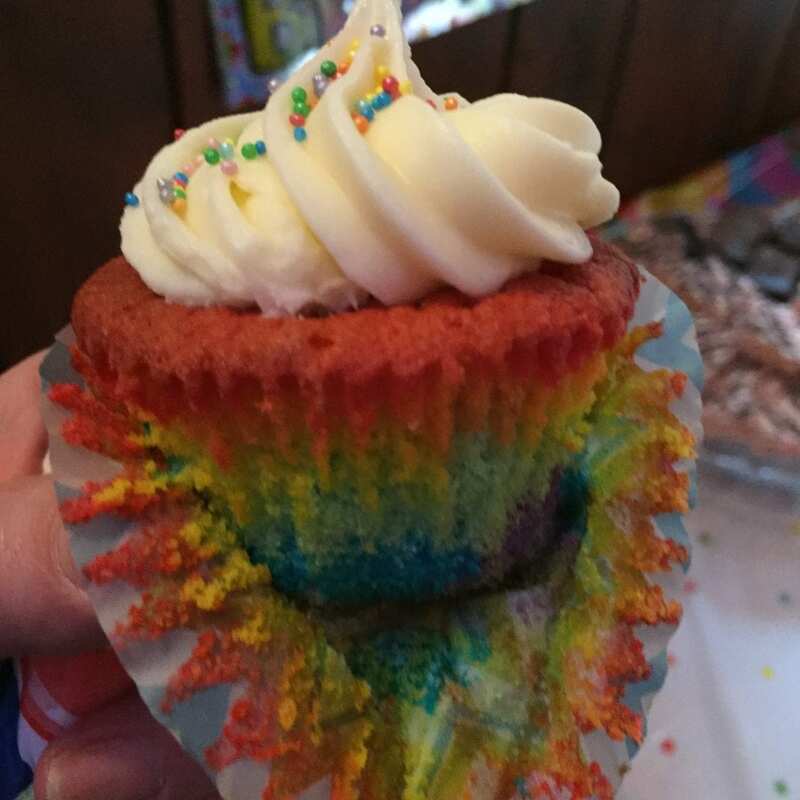 My little girl loved her rainbow cupcakes, and her friends at the party (and their mums!) were impressed when they bit into rainbow loveliness. 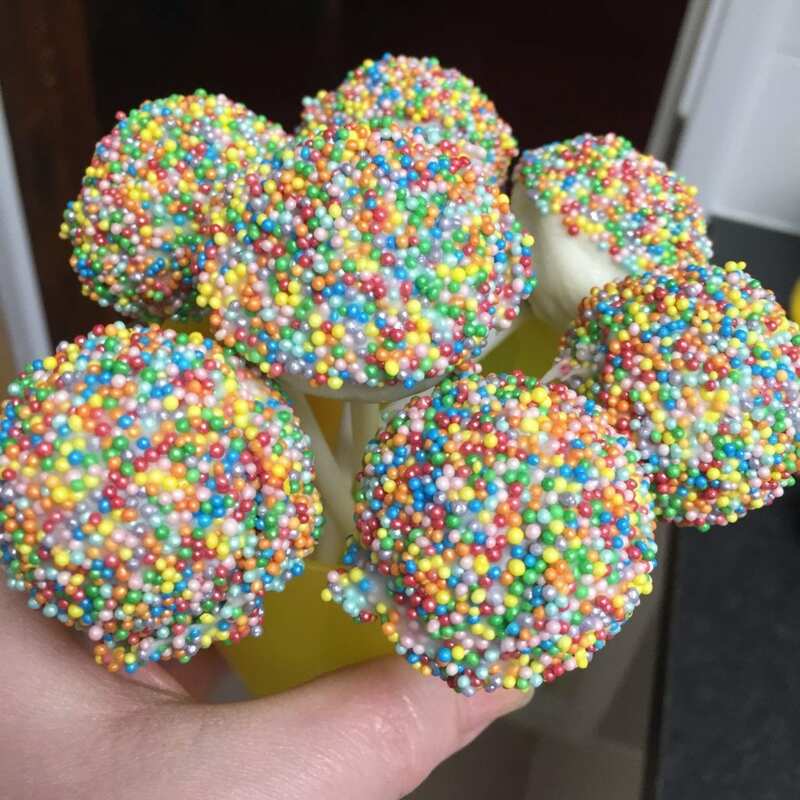 These cake pops were so easy to make! 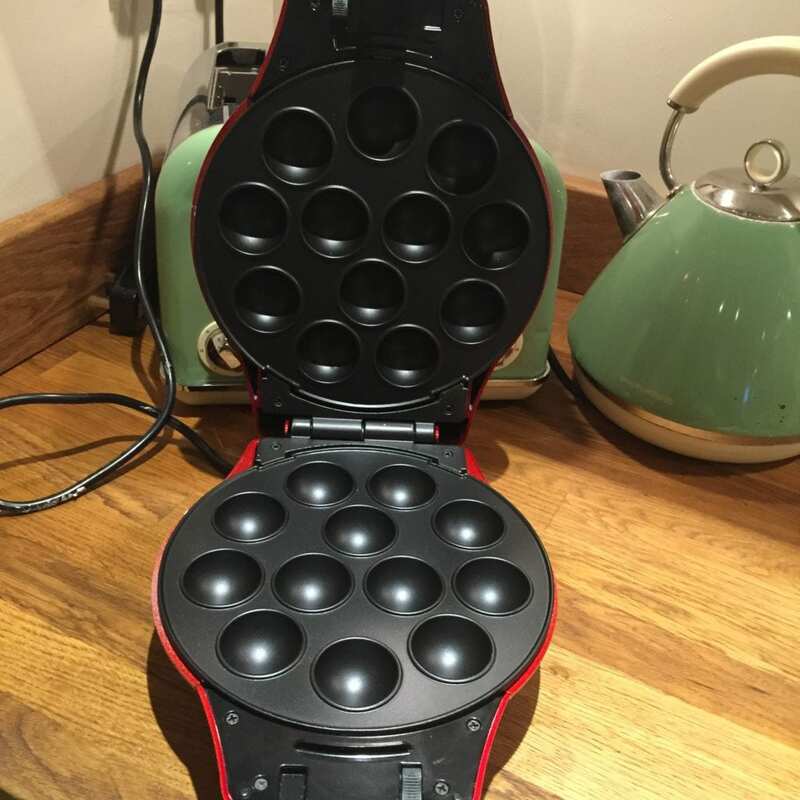 This is mainly due to my new American Originals cake pop maker which was a Christmas present from my mum and dad. 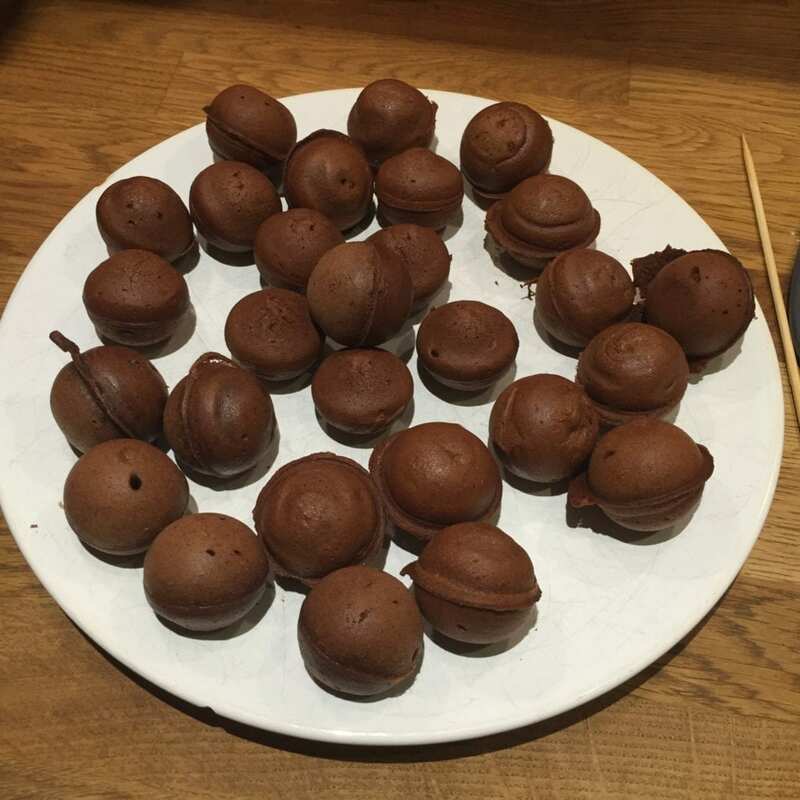 I used the recipe for chocolate cake pops that came with the instructions. 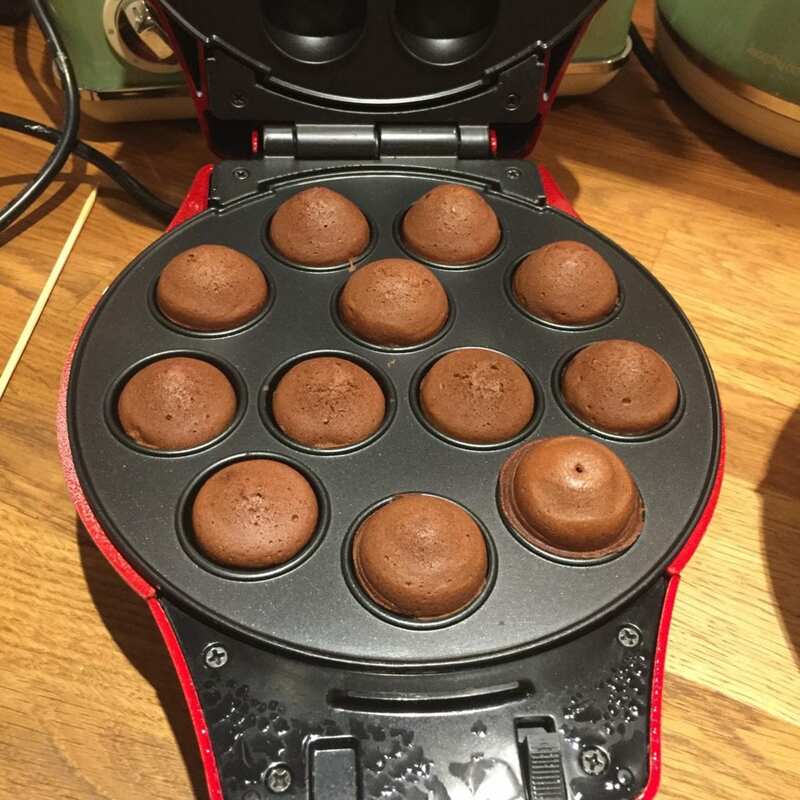 It produced perfectly round little sponge cakes! I melted a tub of white Candy Dip in the microwave and secured the cake pop sticks in the cakes using a little of it. When it had hardened I dipped the sponges into the candy dip whilst turning them to get a reasonably even coating, and just added a few sprinkles. To counteract all that sugary sweetness, I thought I better also offer a healthy option. 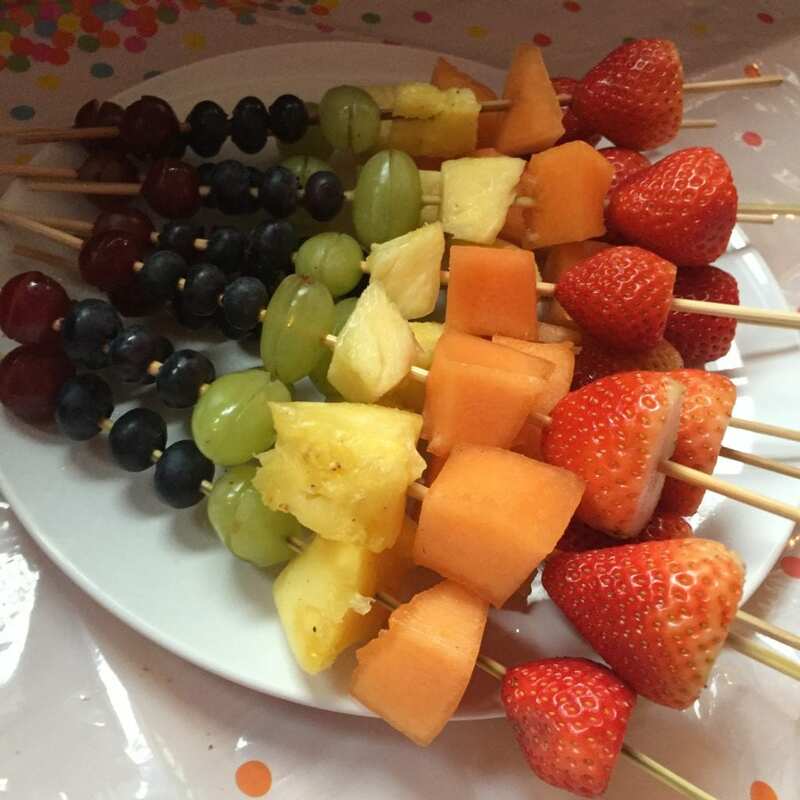 Keeping the rainbow theme going I decided to make fruit skewers in rainbow colours. Layering up strawberries, melon, pineapple, grapes (cut in half of course) and blueberries. The kids loved them, and there wasn’t a single one left! I will definetely be making more for future parties. 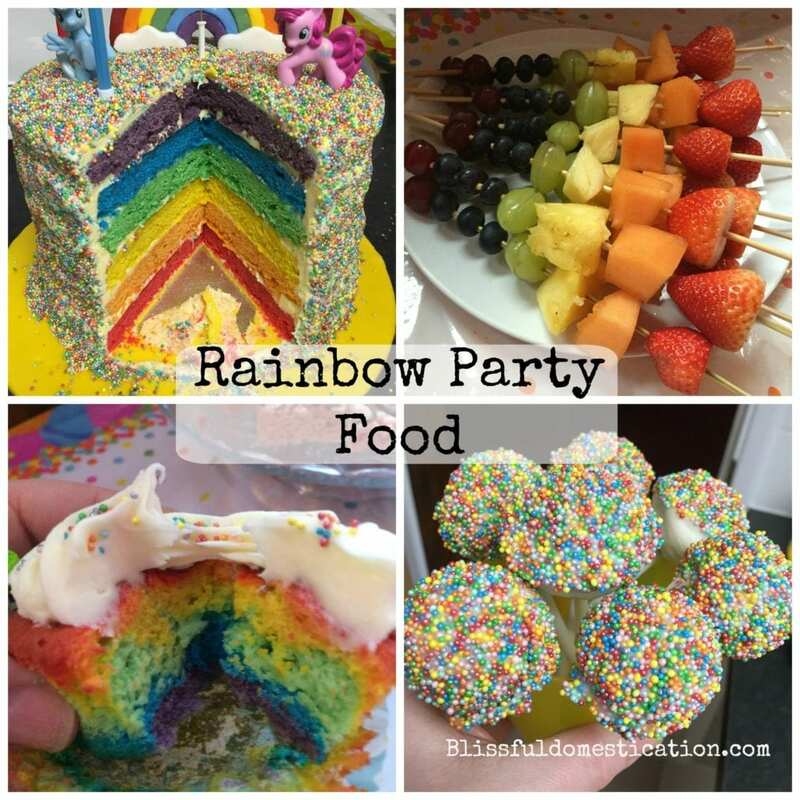 So what do you think of our rainbow inspired party food? Have you attempted any of these ideas in the past, and were they successful? I’d love to hear if you have. 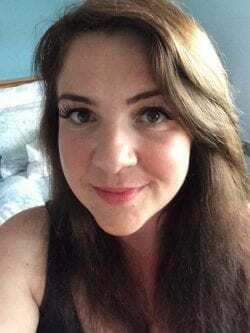 Next Post Sometimes My Kids Irritate Me! Wow – and what a great way to engage yours kids in colours! Wonderful! 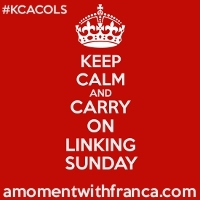 thanks for linking it to #kcacols and hope to see you again next time! The kids loved it! as did I. Thanks for stopping by! Thank you, the rainbow cupcakes were definitely the best! Thank you! 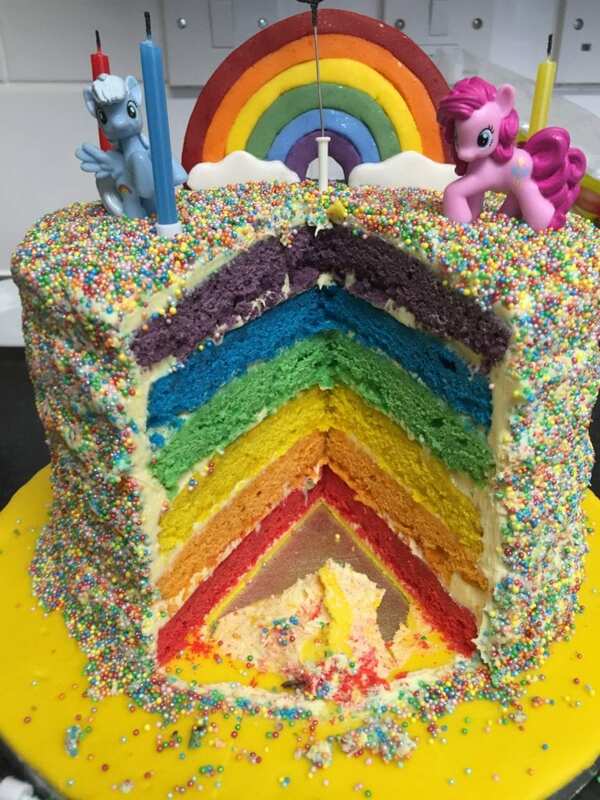 Cake and rainbows- perfect combination! Oh wow these are fantastic. I’m tempted to have a go for my daughters 3rd Birthday in a few months time..
Oh a swirl cake sounds great! and a lot easier than making separate sponges, might have to give that one a go! My daughter will be 12 in July and I know that she would love all of these. I think the cake looks Great! Thank you! Yes I think rainbows can be for all ages, I love them too!